One of the most stressful aspects of putting your home on the market for the first time is trying to sell your lifestyle to strangers. Part of selling your home is making it appealing to potential buyers through staging. While you can hire professionals to make your home look extra inviting, there are a few do-it-yourself staging tips that can go a long way. Home staging can improve your residential sale by helping buyers to see what a life in your former home could be like. The first step in staging your home is to give it the cleaning of its life. Make sure the windows sparkle, the floors are dirt-free, and your shower isn’t harboring any grime. An unclean bathroom can be the straw that breaks the sale, so make sure that any germaphobe would be comfortable in your bathroom. If you have pets, steam clean your carpets. Even though you may be used to their smell, new guests may not be. Though this is probably the most labor-intensive part of home staging, it’s the most inexpensive and effective way to make your home enticing to prospective buyers. Over the course of life in your home, counter tops, junk drawers, and closets become storage for all of your miscellaneous items. Clearing out these random collections can be a quick way to make your home look much more spacious. Whether you hide stuff in your basement, your mom’s garage or an off-site storage unit, pare down the items in your home to the bare necessities. It is a quick way to make everything look cleaner, brighter and bigger. Make sure that everything in your home adds to the overall look. When it’s just you and your family in your home, it’s important and fun to personalize everything. It’s okay to have bright pink paint, silly shag carpet and cartoon character blankets. Once your home is on the market and staging begins, these sorts of personal touches can be your downfall. While bright colors may be your style, someone else may hate them. Shifting your home to a more neutral palate is the best way to appeal to the largest variety of buyers. Crisp whites, easy tans, and simple grays are inviting and gender nonspecific. Staging your home is about selling the life that new owners could enjoy. If you have a great outdoor space, don’t forget to think about staging it too. Consider the season and make sure that your back and front yards look their best. Maintain grass and flower gardens in the summer and rake up leaves in the fall. Make sure any outdoor patio furniture you have is clean and doesn’t show excessive signs of weathering. If you have any questions about Residential Sales as a buyer or a seller, please contact Clagett Enterprises at (301) 663-6011. You can also connect with Clagett on Facebook, Twitter, Google+, Pinterest, and YouTube. Winter is well underway but far from it’s end. The temperature is getting ready to drop again, and we are in for some more snow before spring warms everything back up. 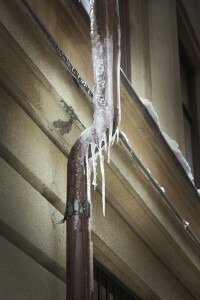 Dealing with property management during freezing temperatures can lead to maintenance nightmares. Make sure that your residents have taken all of the necessary steps in making sure that your property is winter-ready. They can save you a headache and lower the cost of keeping your property toasty in the winter months. Staying in touch with your residents is your first line of defense against winter temperatures. Send out emails about major cold fronts and remind your tenants of ways they can prevent issues. The last thing you’ll want to deal with when freezing temperatures hit, is heading down to your rental property to assess damaged pipes. Advise your residents to shut off any exterior faucets in the winter months and consider leaving interior faucets at a drip overnight. In a deep freeze, residents should also open up cabinets in the kitchen and bathrooms to expose pipes to more heat. Residents should never let the temperature inside your property to drop below 55 or 60 degrees. As a property manager, you can take steps by making sure all pipes are properly insulated and trimming bushes and tree branches that lean on or hang over your property. When these get heavy with ice and snow they can pose a serious threat to exterior walls and the roof. Have residents locate drafty areas of your property and help them find solutions to keeping the cold air out. Drafty areas can be sealed with products like door buffers that can be purchased from any home improvement store. If your residents notice that the windows are the biggest culprit, and installing new energy-efficient ones is out of your budget, advise them to purchase weather stripping, window film or insulated curtains. Suggest that your residents reverse their ceiling fans. Rotating them clockwise during winter months can help keep air circulating throughout. This will keep the entire property much warmer and help your residents cut heating costs. Though it is unlikely that a winter storm of epic proportions will trap your residents in their home, it is never a bad idea to be prepared. Residents should consider maintaining a supply of bottled water, non-perishable food items and extra blankets. If you have any questions about Property Management through the winter months, please contact Clagett Enterprises at (301) 663-6011. You can also connect with Clagett on Facebook, Twitter, Google+, Pinterest, and YouTube. We all are familiar with the adage “time is money.” Owning a rental property comes with many responsibilities—responsibilities that require just that, time. Prompt rent collection is just one of the many tasks property owners take on. When it comes to collecting rent from tenants, it’s imperative to do so as promptly and effectively as possible. Late payments or no payments equal late profit or no profit. With the help of Clagett Enterprises, managing your property and ensuring prompt rent collection just got a whole lot simpler. Our property management services use the latest in accounting technologies, making it easier for both tenants to pay their rent promptly and for owners to ensure that they’re turning a profit. Clagett Enterprises worries about the collecting so you don’t have to. Renters aren’t widely regarded as the most reliable payers, but options may help. We can work with you to provide different payment options for your tenants. Whether it be a direct debit system from their bank account to yours, varying online options, check payment, or partial payment, we can find a solution that allows our property management services to ensure prompt rent collection from your tenants. Our reliable property management services employ a preventative maintenance program which allows us to address a problem at the very start. This saves time, money, and stress both for owner and tenant. By choosing Clagett Enterprises, your property will be well maintained in a timely fashion with our large network of contractors, keeping tenants happy and willing to pay rent on time, every time. Tenant screening is key to ensure a tenant that is reliable. We understand that you want your property to be taken care of. 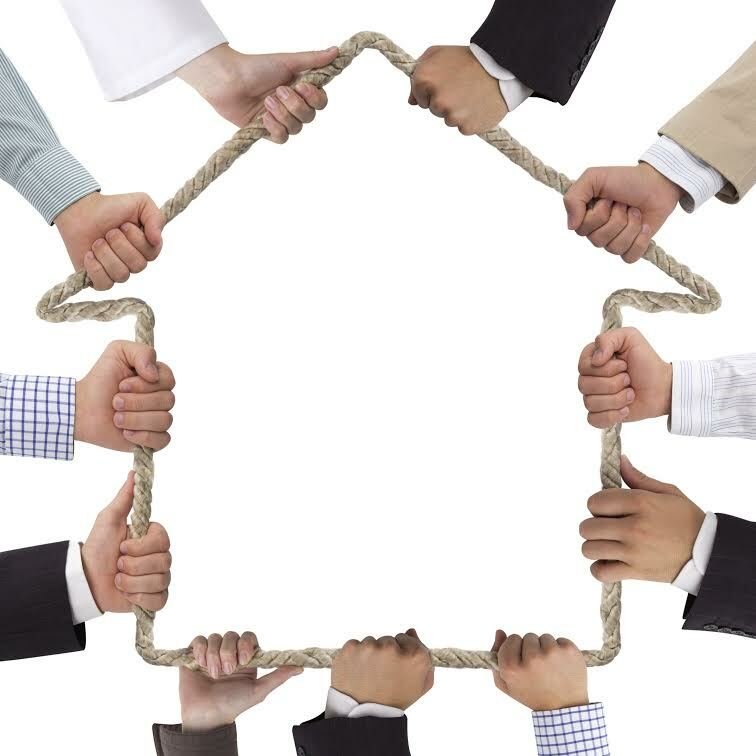 We can ensure you a reliable tenant through personal interviews, background and credit checks, among other methods. 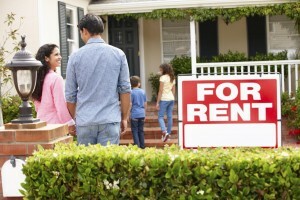 A tenant that will take care of your property is also more likely to make pay their rent promptly. There is no shortage to the list of benefits that stem from using our property management service. Let us help protect your property investment by taking the worry and stress out of your property’s upkeep and operation, as well as ensuring prompt rent collection from all of your tenants. If you have any questions about Prompt Rent Collection or Property Management, please contact Clagett Enterprises at (301) 663-6011. You can also connect with Clagett on Facebook, Twitter, Google+, Pinterest, and YouTube. The music’s too loud. They party every weekend. They have offensive window decorations. Do you really want to know what that smell is? Like it or not, that tenant on your property is yours and not someone else’s. Their neighbors have tried the reasonable approaches, but their attempts to peacefully express their concerns have seen no response—or worse, disproportionately negative responses. As the property manager, you are the next step in conflict resolution. You have the power to resolve these neighborly clashes. Why Bother the Property Manager? The question here should actually be, “Why put up with the issue any longer?” As long as they’ve taken the civil and neighborly approach to conflict resolution, then they might well approach you to resolve the situation. Each tenant has an equal right to live in a peaceful neighborhood as another has the right to listen to music or hold parties. The thing is, one side’s rights end where they meet the other side’s, and part of sharing communal walls is the ability to compromise solutions that allow both parties the greatest possible freedom to their rights. In addition, it is to the property manager’s benefit to resolve these disputes quickly and to both parties’ satisfaction in order to maintain every relationship with all tenants under his or her watch. When neighbors feud in your property, you lose the most. You lose the trust of the injured party and property value on the instigating estate and all surrounding estates. In order to resolve these issues, you must apprise yourself of all of the facts of the situation. Approach both parties, including the accused, about their experiences with each other as well as any unusual needs, such as sensitivity to bass music sounds. You must then offer a resolution that fits both sides’ needs as well as possible given any expectations. Your last resorts are moving one of the tenants to another location within the community followed by eviction and legal action, respectively. Using these will cost you the trust of the affected party and give the other side an undue sense of “victory” that shouldn’t be necessary in these disputes. By involving yourself in your tenants’ disputes, you open yourself up for several benefits. By resolving the issue of both sides satisfactorily, you increase the trust both parties give you. This leads to better tenant retention or recommendations to others when the tenant moves out. In addition, the overall property value will increase—or at least return to its previous state as peaceful living returns to the community. Lastly, you can prevent health issues such as breakdowns caused by mental anguish, physical injury caused by junk lying in paths, and even drug-related health risks in serious cases. For help with tenant dispute resolution, call Clagett Enterprises at (301)-663-6011. Also, find us on Facebook, Twitter, Google+, Pinterest, and YouTube for more property ownership information.